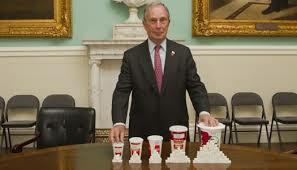 Well, today we learned that Michael Bloomberg’s Soda ban was struck down by a New York City judge. We all know that we should curb the amount of sugars we drink, but the ban was not really thought out as well as it should have been, nor was is comprehensive enough, so it really would not have had the intended effect. Nice try, though. One of the serious areas it failed to deal with is the diet sodas, which so many people opt for in place of regular soda thinking they are doing a good thing.and that it helps them keep down the pounds, however, the science shows that artificial sweeteners are hundreds to thousands of times sweeter than regular sugar. This causes your body to think that the sugar is coming, and actually pump out insulin which causes more body fat, at the same time it causes your metabolism to slow down. Don’t forget that all of the acids and sugars are all the while eating away your teeth and causing decay and periodontal problems. There is no getting around it sugar is a drug, in whatever form, and is very harmful to your teeth and the entire rest of your body. Please read the blog below by Dr. Mark Hyman which debunks the myth that diet sodas can help you lose weight. Now, more than 35 percent of Americans are obese, and almost 70 percent are overweight. This is not an accident but the result of careful marketing and money in politics. We are told it is all about making better choices. If we all took more personal responsibility, we could stop this obesity and diabetes epidemic. We have been told there are no good or bad foods, that the key to weight loss is moderation. And, of course, if we all just exercised more, all of us would lose weight. These ideas hold us hostage. If losing weight were all about the calories, then consuming diet drinks would seem like a good idea. That’s certainly what Coca-Cola wants us to believe in their new ad highlighting their efforts to fight obesity. They proudly promote the fact that they have 180 low- or no-calorie drinks and that they cut sugared drinks in schools by 90 percent. Is that a good thing? In fact, it may be worse than having us all drink regular Coke (and the other food giants making diet drinks also push the same propaganda). A new 14-year study of 66,118 women (supported by many other previous studies) found that the opposite seems to be true. Diet drinks may be worse than sugar-sweetened drinks, which are worse than fruit juices (but only fresh-squeezed fruit juices). The study, published in the American Journal of Clinical Nutrition, discovered some frightening facts that should make us all swear off diet drinks and products. Women who drank one 12-ounce diet soda had a 33 percent increased risk of Type 2 diabetes, and women who drank one 20-ounce soda had a 66 percent increased risk. Women who drank diet sodas drank twice as much as those who drank sugar-sweetened sodas because artificial sweeteners are more addictive and are hundreds to thousands of times sweeter than regular sugar. The average diet soda drinker consumes three diet drinks a day. You might say that people who are overweight and just about to get diabetes drink more diet soda, but they scientifically controlled for body weight. And they found the artificial sweeteners increased diabetes independent of body weight! This and other research shows how diet sodas make people fat and sick. And that diet drinks may be even worse than regular sugar-sweetened sodas! How does that happen? I love Taylor Swift. I met her last summer. She is a wonderful person with great integrity. I don’t think she knows about this research, and I hope someone shares it with her so she can save millions of children and fans from drinking Diet Coke because she endorses it. Bottom line: There is no free ride. Diet drinks are not good substitutes for sugar-sweetened drinks. They increase cravings, weight gain, and Type 2 diabetes. And they are addictive. The diet and food industry has brainwashed us to eat fat-free foods, which seems like common sense. Eating fats makes you fat. Right? But the science tells us otherwise — not all calories are created equal. And even though fat has more calories per gram (9 calories vs. 4 calories of carbs and protein), eating fat can help you lose weight. This low-fat idea was based on bad science. Our government told us in the 1970s to go on a low-fat diet and to eat 8-11 servings of rice, bread, and pasta a day. And unfortunately, we listened. This was the beginning of our obesity and diabetes epidemic. The food industry happily created a flood of fat-free foods. But the science has proven that eating fat doesn’t make you fat — sugar does. And it is sugar, not fat, that raises your cholesterol despite what people and most doctors still believe. A 20-ounce soda is fat-free, but that doesn’t make it a health food. If cookies were fat-free, then you can eat the whole bag, right? But the fat is replaced with flour and sugar, and the result we now have is one in two adults with diabesity — that’s pre-diabetes or Type 2 diabetes — and almost one in four teenagers with pre-diabetes or Type 2 diabetes. We did a 10-day sugar-free detox with our online community, and 600 people lost more than 4,000 pounds in 10 days! So why does eating fat free make you fat and diabetic? In a recent Harvard study, Dr. David Ludwig found that in two groups eating exactly the same calories, the group that had the low-fat diet (which means higher in sugars and starches) burned 300 calories less per day. Their metabolism was slower than the group eating the higher fat and higher protein diet. If you ate the higher-fat, higher-protein diet (of exactly the same calories), it is the equivalent of running for one hour a day. In other words, if you just swap out sugars and starches for good quality fats and protein, it will be like you added an hour of free exercise a day to your life without any change in calorie intake! Bottom Line: The key point here is that all calories are not the same. Swap out sugar and starch for good fats such as nuts, avocados, olive oil, and grass-fed animal products or wild fish. Be a “qualitarian.” Focus on quality, on real food, and the rest takes care of itself. The food industry would have us believe that controlling our weight is about personal responsibility. Tell that to a 200-pound 5-year-old with diabetes and liver failure. Our taste buds have been hijacked by the food and diet industry. We are programmed to like sweet, salt, and fat tastes. And those slick combinations of sugar, fat and salt in junk and processed food have hijacked our taste buds, our brain chemistry, and our metabolism. These foods are biologically addictive. We are held hostage by the food industry and we blame ourselves. How does food addiction happen? New research shows that industrial food full of processed sugars, fats, salt, and chemicals are powerfully addictive. And sugar is the worst culprit. One animal study found that sugar is more addictive than cocaine. When rats were given the choice between mainline cocaine right into their veins or sweetened water (in fact, they used an artificial sweetener), they found that sugar was eight times more addictive than cocaine. Even the rats already addicted to cocaine switched over to diet drinks! And what’s even more interesting is that while cocaine and heroin activate only one spot for pleasure in the brain, sugar lights up the brain like a pinball machine. If these foods are addictive and drive overeating, then the whole idea of moderation just doesn’t work. Hey, just have that one line of cocaine or that one hit of heroin. We can’t stop eating, but we can stop eating junk and sugar! So we have to take back our taste buds, take back our brain chemistry, and take back our bodies from the food and diet industry. How do we do that? Bottom Line: By eating real food — chicken, fish, veggies, fruit, nuts, seeds, beans, and a little whole grains will reset your taste buds and your brain chemistry automatically. The food industry and diet industry push exercise. Even Michelle Obama’s childhood obesity initiative focuses on exercise in its name, Let’s Move. But it should be really called Let’s Eat Real Food. Here’s why. Sugar-sweetened drinks make up about 15 percent of our calorie intake every day. But you have to walk 4.5 miles to burn off one 20-ounce soda, which contains 15 teaspoons of sugar. You have to run four miles a day for one week to burn off one supersize meal. If you have one supersize meal everyday you would have to run a marathon every day! You can’t exercise your way out of bad diet — except if you run a marathon every day. Drinking 32 ounces of Gatorade after a workout is a dumb idea, unless you run around like Kobe Bryant on the basketball court for 48 minutes. There are better ways to replenish your energy and electrolytes than colored sugar water with a few minerals sprinkled in. Bottom Line: Exercise is critical to long-term health and weight loss, but you can’t exercise your way out of a bad diet. Thankfully, science is shedding light on the ideas that keep us fat and sick. Unfortunately, scientists don’t have billion-dollar marketing budgets. But we as a community of thinking people wanting real information can speak out, can spread the word and turn the tide of obesity and chronic disease together. Share this article with your community and friends.